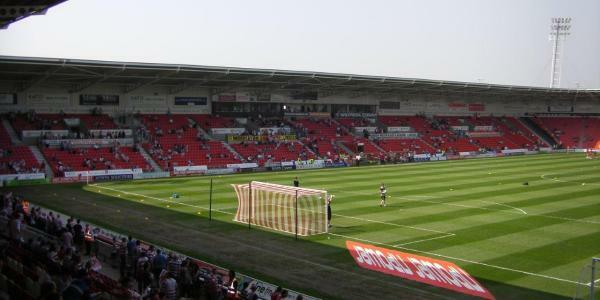 Keepmoat Stadium was built to provide Doncaster Rovers with a modern replacement for their old Belle Vue ground. 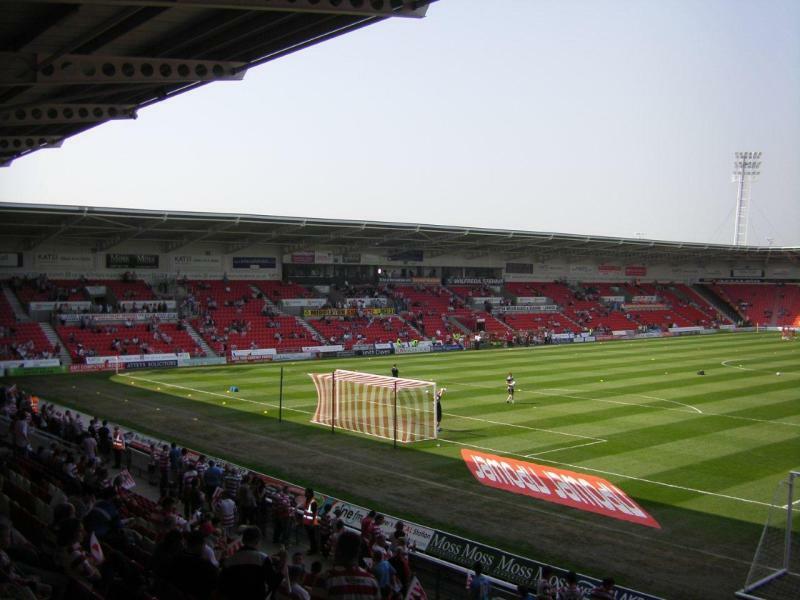 Keepmoat Stadium officially opened on the 3rd of August 2007 with a match between Doncaster Rovers and Manchester United, but matches had already been played at the stadium from the start of 2007. 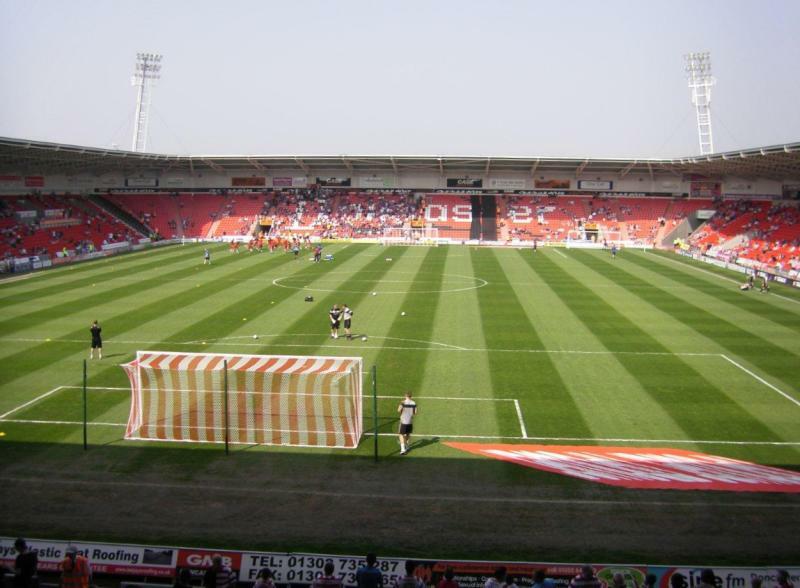 Keepmoat Stadium is located at an office and retail park in the south of the town of Doncaster. The walk from Doncaster rail station and the town centre takes about 30 minutes. Alternatively, one can reach the stadium with bus 75, which runs from the bus station opposite the rail station. There is extra service on matchdays. 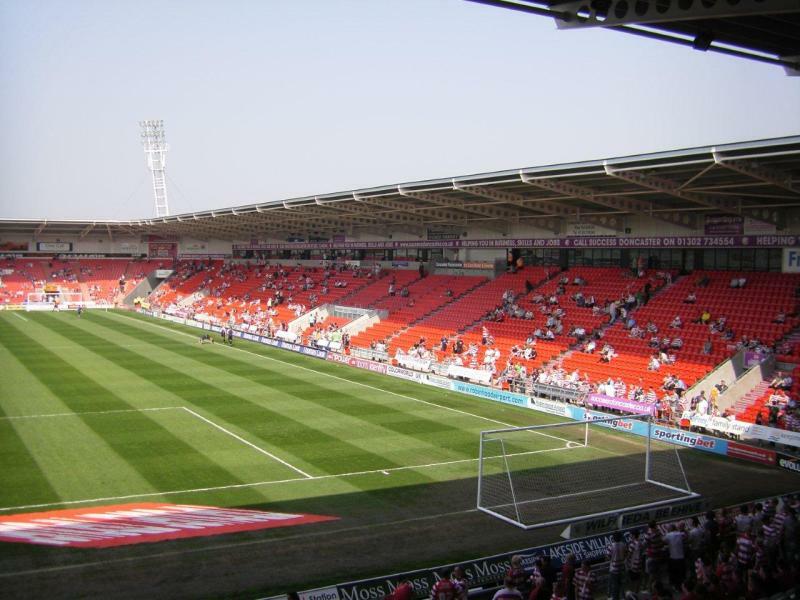 If arriving by car, Keepmoat Stadium is best reached from the M18 motorway that runs south of Doncaster and connects with the M1 further west. Exit the M18 at junction 3 and take the A6182 toward Doncaster. 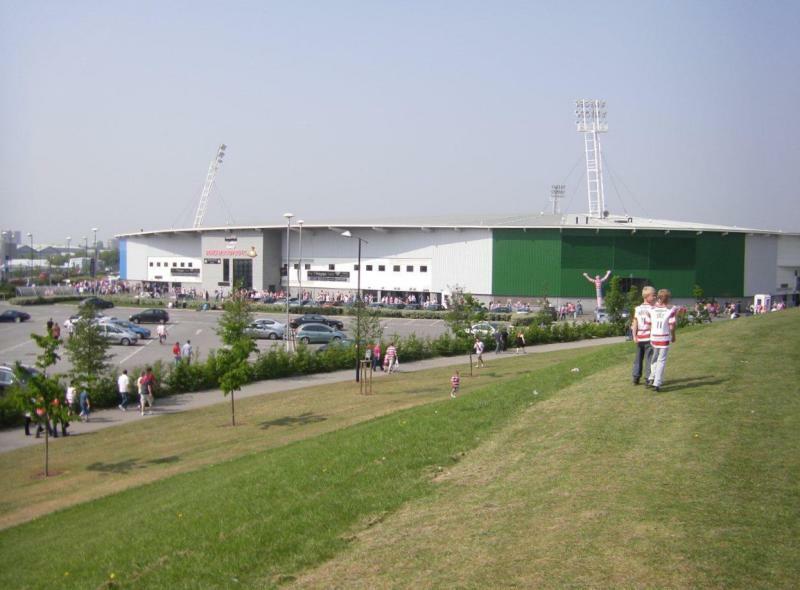 The stadium is clearly signposted from there on. 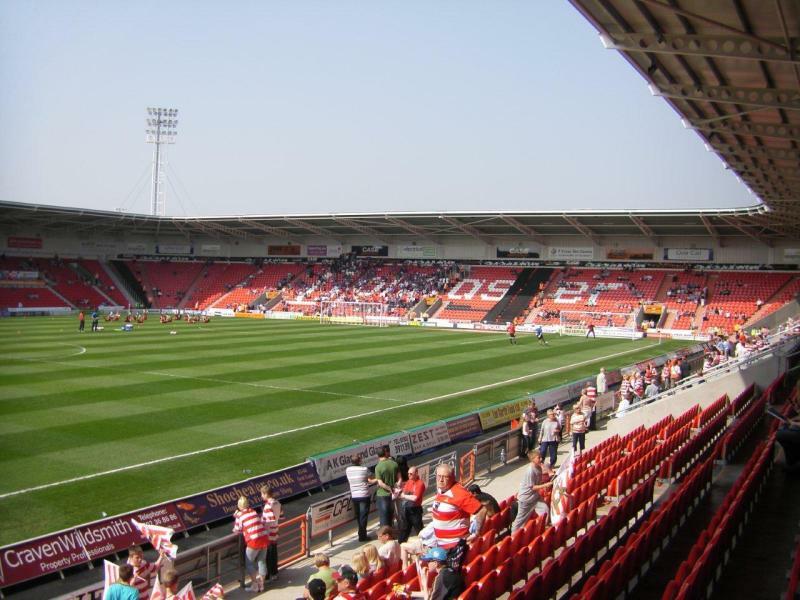 Tickets for Doncaster Rovers matches can be bought online, by phone +44 (0) 1302 762576, or at the Ticket Office at Keepmoat Stadium. Tickets are also available on the gate on the day of the match. 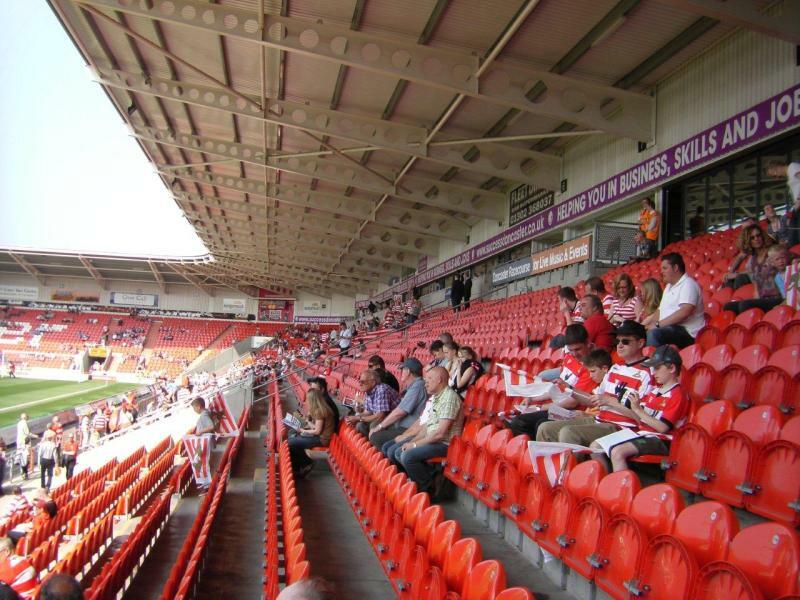 Doncaster Rovers rarely sell out. Tickets cost either £21.00 or £23.00. 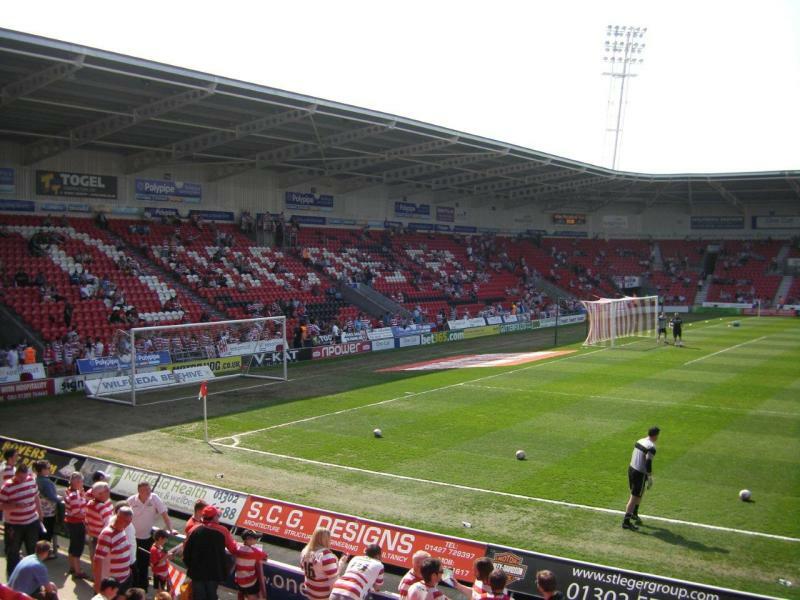 Doncasterroversfc.co.uk – Official website of Doncaster Rovers FC. 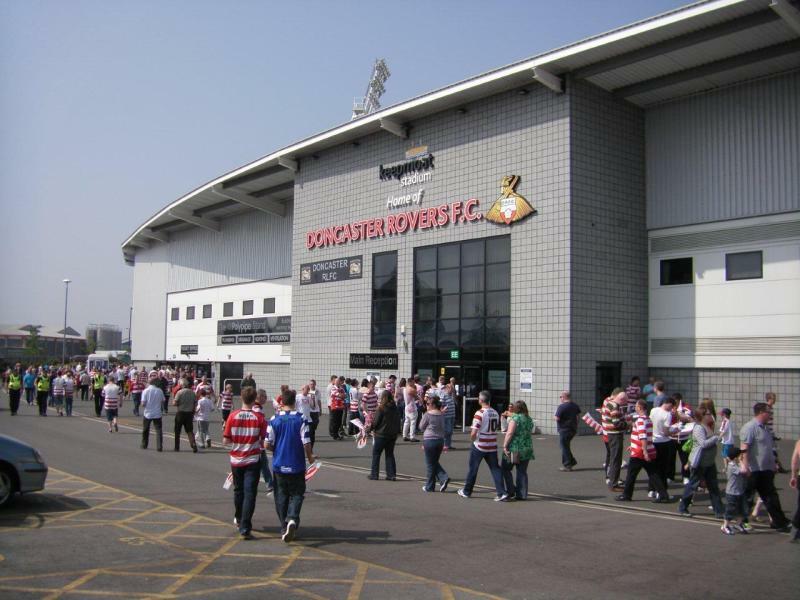 Visitdoncaster.co.uk – Doncaster tourist information.